Why Choose In the City Camps? Download our NEW camp music album! 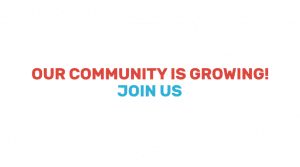 Home » Why Choose In the City Camps? Our Welcoming, Inclusive Environment – In the City Camps’ Jewishly diverse camper and staff makeup is one of the things that makes our camp community so special. For many of our campers, In the City Camps is their first Jewish experience. Other campers may celebrate the holidays, go to Jewish day school, or attend Sunday school. Some campers have one Jewish parent and some have two Jewish parents. Some have two mommies or two daddies. Some come to camp with physical, emotional, and medical challenges. In our extraordinary environment, your child will build strong Jewish friendships that will last a lifetime. Our Impressive Jewish Role Model Staff – When you send your child to In the City Camps, you can rest assured that your camper will spend the day with mature, energetic, trained Jewish counselors he or she will look up to from day one. Our counselors are key to the success of our program. We select, train, and nurture responsible young adults who embody the traits you want to see in your child. Because we understand the importance of a positive Jewish role model, all of our camp counselors are Jewish. Our Culturally Jewish, Values-Based Program – In the City Camps provides a culturally Jewish, values-based experience for Jewish campers of all backgrounds. Your child will sing Hebrew songs, make a tzedakah (charity) box at arts & crafts, bring home challah to bake every Friday, perform mitzvot (good deeds) through volunteer projects, and cook some of Israel’s most delicious foods – all while strengthening 21st century skills and connecting with Jewish children and staff from all over Atlanta. So Many Activity Options! – In the City Camps truly has something for everyone. Basketball, magic, swimming, art, dance, hockey, cooking, nature, soccer, field trips, talent shows, archery, Shabbat programming, and so much more! Our age-appropriate programming structure encourages campers to participate in activities they love and try new things. Trained activity specialists infuse activities with Jewish values like kavod (respect) and ahava (love) while strengthening 21st century communication, collaboration, and critical thinking skills. 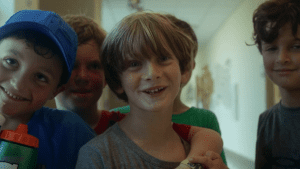 Overnight Camp Feel – Camp songs, bunk time, canteen, field trips, Color War, Shabbat programming, s’mores, activity variety, and cool Jewish counselors are just some of the ways In the City Camps feels just like Jewish overnight camp! These similarities are no accident. 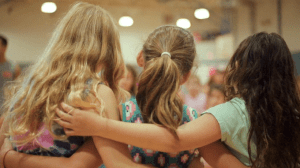 Jewish overnight camp has been creating strong Jewish friendships, nurturing personal growth, and inspiring a meaningful connection to the Jewish community and Israel for years. Since 2012, In the City Camps has delivered all of these benefits in an affordable, accessible day camp package that lets your child sleep at home! Our Commitment to Physical and Emotional Safety – At In the City Camps, safety, both physical and emotional, is our number-one priority. Physically, we work with experts to implement security measures at each of our camp locations. Counselors track and accompany campers to all activities. Lifeguards supervise campers at the pool. Emotionally, counselors practice empathetic listening to diffuse conflicts and report any concerns to camp leadership. Our head staff communicates directly with parents to address concerns and ensure that In the City Camps provides a safe place for all of our campers to thrive. 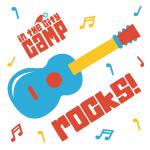 Want to hear our campers, parents, and staff explain what makes In the City Camps so special? Watch our video!